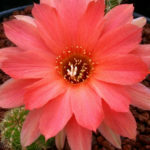 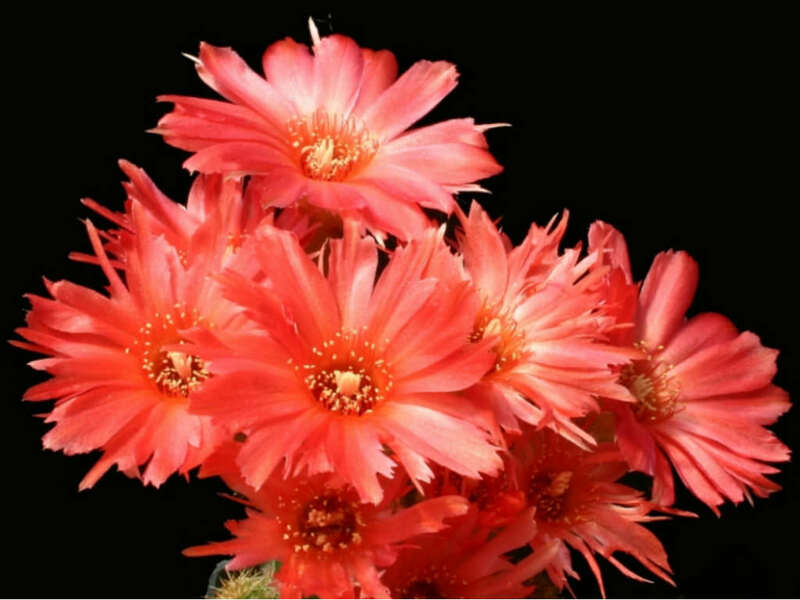 Chamaelobivia ‘Boom’ is a hybrid between Chamaecereus silvestrii (now renamed Echinopsis chamaecereus) and Lobvia, but since both of those are now reclassified as Echinopsis, that makes this an Echinopsis hybrid. 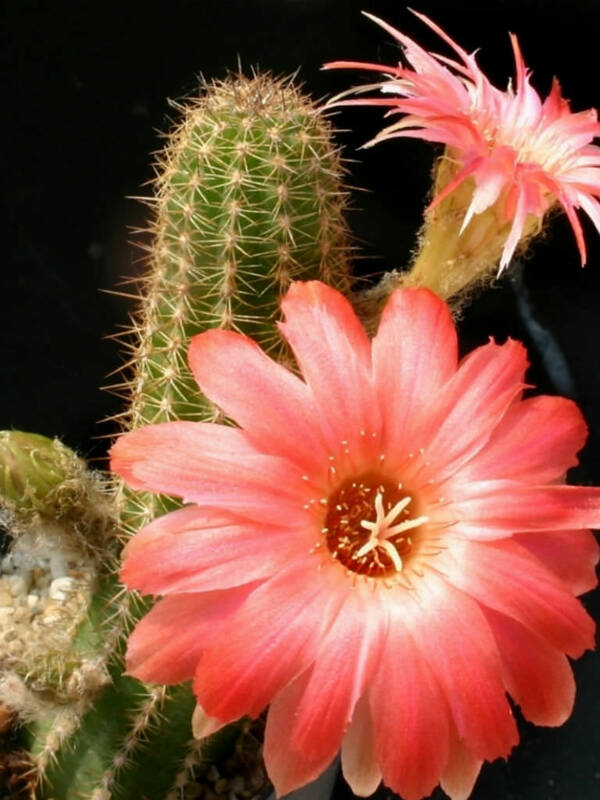 This cactus has an upright growth habit, offsetting and blooming profusely. 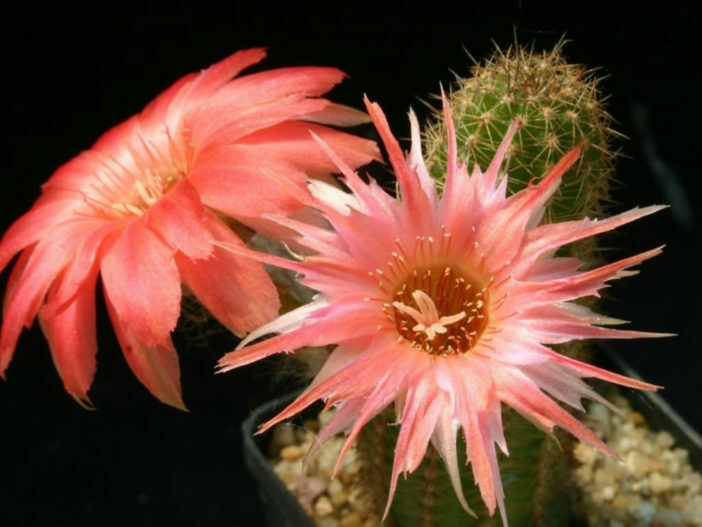 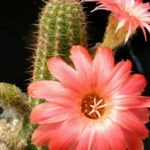 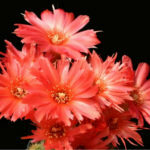 Flowers are up to 3 inches (7.5 cm) in diameter and reddish pink to orange in color. 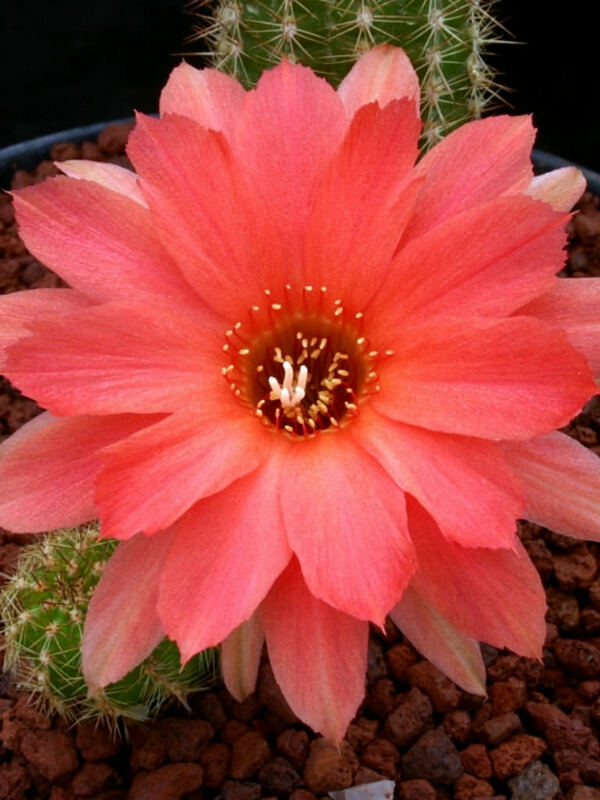 Chamaelobivia ‘Boom’ is a hybrid between Chamaecereus silvestrii (now renamed Echinopsis chamaecereus) and Lobvia, but since both of those are now reclassified as Echinopsis, that makes this an Echinopsis hybrid.